Mrs Sitole had an initial idea to set up a business of selling imported clothes from South Africa. However due to the increasing prices in transport and clothes her business was changed to cosmetics. 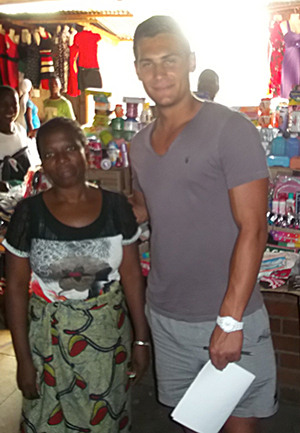 Mrs Sitole has rented out a small stall in the busy market area of Blantyre, Malawi. Despite only selling a small range of products ranging from facial creams, nail varnish and lipstick – Mrs Sitole has been able to almost finish repaying the loan 5 months earlier than scheduled, a great achievement considering the limited range of products being sold.